The unique Watercress Lodges & Campsite is a fantastic new self-catering holiday retreat overlooking the South Downs, situated only 3 miles from New Alresford and the River Itchen, nestled in the beautiful Hampshire countryside. 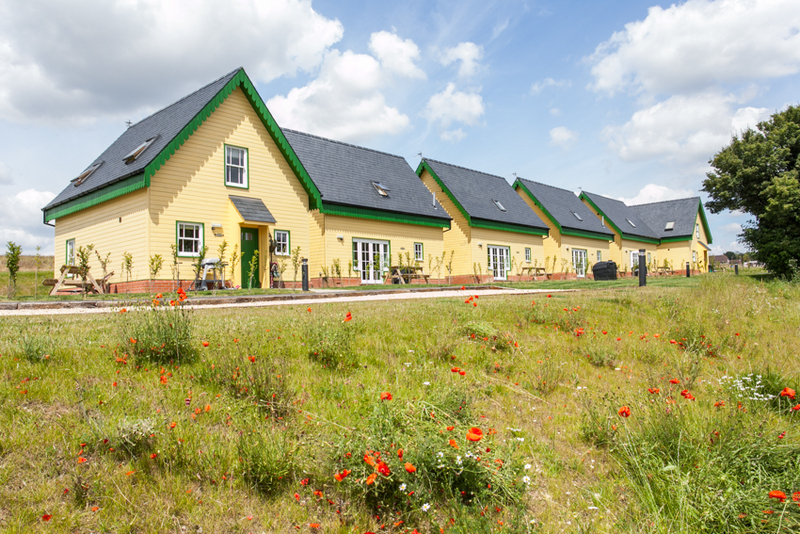 Watercress Lodges offer six bespoke self catering holiday lodges fitted to the highest standards and fully equipped for modern day living, including TV’s and Wifi facilities. Each lodge has two upstairs bedrooms with a sofa bed in the living room and can accommodate up to 6 people. The lodges are fitted with contemporary kitchens (including granite work surfaces) and bathrooms, plus have a utility room with washing machine and tumble drier. The secluded adjacent campsite with toilet and shower block can accommodate up to 50 tent pitches (no caravans or motorhomes). By road: Just of the A31 half way between Winchester and Alton, with easy road links to the M3, A34 and A3. By public transport: By train from London Waterloo to Alton, then take the mid hants Watercress Line Steam railway to Ropley. By bus take the Stagecoach 64 service from Alton or Winchester (via Alresford).